Bought this to rebuild my old Trek hardtail, having purchased a new bike earlier this year with it fitted. The SLX kit is great quality, well built, easy to fit and set up. Personally I can't see why you would want to pay any more for a higher spec. Just make sure you purchase the relevant tool for fitting the BB, if you don't already have this! I bought this SLX group set to rejuvenate and convert my old hardtail to a 1x. As expected from shimano, smooth shifting and easy setup. I was dubious that there would be enough range in the gearing, but this provides enough for flying downhill or climbing very steep inclines. Thoroughly recommend and, as with 105 on the road, I can see no reason to pay for any group set higher in the range. Wow, what an amazing group set for an unreal price. Bombproof and reliable. A perfect purchase for anyone looking to upgrade. Best value for money groupset available. 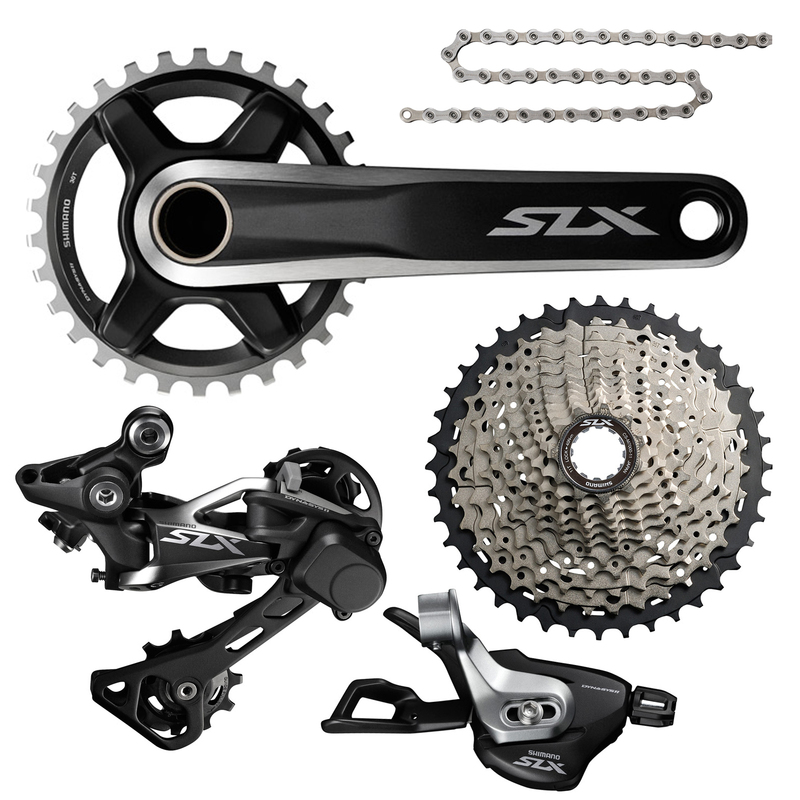 You will not make a mistake if you upgrade to SLX, it is just as good as the XT groupset at a more affordable price.